Ringworm is a commonly occurring skin infection that Dr Glass treats from his offices in London. The infection is also known as tinea or dermatophytosis. Fungi, not worms, actually cause the disease. Doctors call these fungi dermatophytes, because they thrive on the skin. There are approximately 40 different species of dermatophytes that can cause ringworm. Ringworm affects different sites of the body and may be called different names. For instance, athlete’s foot or tinea pedis is ringworm of the foot, while jock itch or tinea cruris is ringworm of the groin. 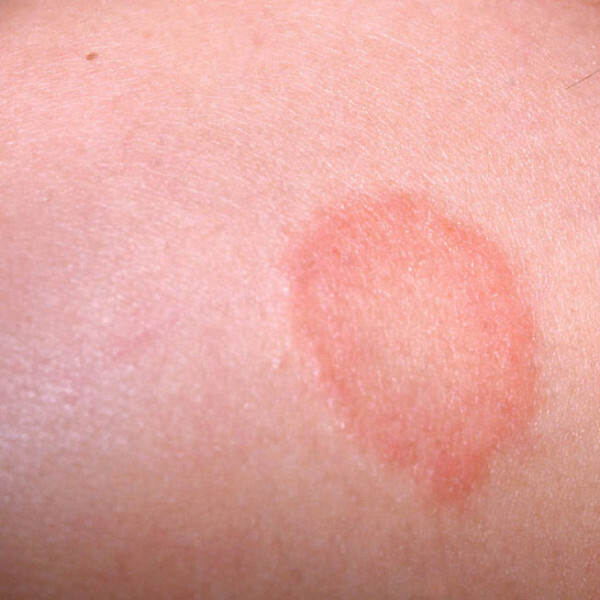 Ringworm is contagious and can be passed from one infected person to another. Sharing belongings with an infected person also raises your risk of getting it. This is normally from close contact. You can also get ringworm from pets. Doctors trained in dealing with skin infections can look at a patient’s skin and make initial diagnosis. The symptoms usually reveal the nature of the infection right away. In some instances, the skin is scraped and the sample is sent to the lab for examination under a microscope and to try and grow the fungus causing the ringworm. Often people with ringworm do not seek medical attention and simply treat themselves. Certain antifungal products can be bought over the counter. Sometimes it is difficult to diagnose and help from a Dermatologist should be sought. Some fungal infections do not respond well to OTC creams and require professional care. Patients should consult a dermatologist when the skin lesions do not improve with self care and treatment. Cases of widespread fungal infection need to be seen and treated by a physician. Stronger medications, some of which need to be taken orally, may be prescribed. Also, take note that ringworm on the scalp should be seen by a dermatologist. Physicians usually address tinea capitis (fungal infection on the scalp) with prescription antifungal medication. The medication is usually taken orally for 1-3 months. Antifungal creams are not too effective on scalp ringworm. Commonly prescribed medications in this case are griseofulvin, terbinafine, itraconazole, and fluconazole. In addition fungal infections of the nails tend not to respond well to the creams and once diagnosed need treatment with oral medication. If you are concerned you may have Ringworm, or other skin conditions, please call 020 3282 0011 or email info@danielglass.co.uk for an appointment today. In addition, there are many other different skin diseases that Dr Glass treats at his office on Harley Street and other locations in London. This page lists some other common conditions with links to useful leaflets from the British Association of Dermatologists and DermNet NZ. Eczema Management of eczema in children and adults. Fungal infections/Ringworm Treatment for skin, hair and nail fungal infections available. Keloid scars Steroid injection and surgery offered. Malignant Melanoma Surgical excision offered and entry into multidisciplinary team. Mole check Mole screening and removal. Nail conditions Evaluation, investigation and treatment offered for all types of nail conditions. Psoriasis Treatment for all types of psoriasis including phototherapy. Rashes Evaluation, investigation and treatment of all types of rashes. Rosacea Topical and oral treatment offered. Scabies Assessment and treatment offered. Skin tags Cryotherapy/cautery or excision. Squamous cell carcinoma Surgical excisions offered. Urticaria Diagnosis and treatment offered. Verrucas/Warts Treatment offered including cryotherapy. Vitiligo Assessment and topical treatment for vitiligo offered.